Home/Uncategorized/Where’s your POD at ? Although we believe camping holidays to be the most enjoyable and rewarding experiences, there are various stresses and hurdles associated with a family camping trip. From the first obstacle of pitching a tent, to fighting over the sleeping arrangements, it is not always the relaxing retreat it was planned to be. A POD tent has the ability to banish these problems from future camping holidays, leaving more cherished time for exploring and family activities. Put simply, the modular POD system is a camping essential. 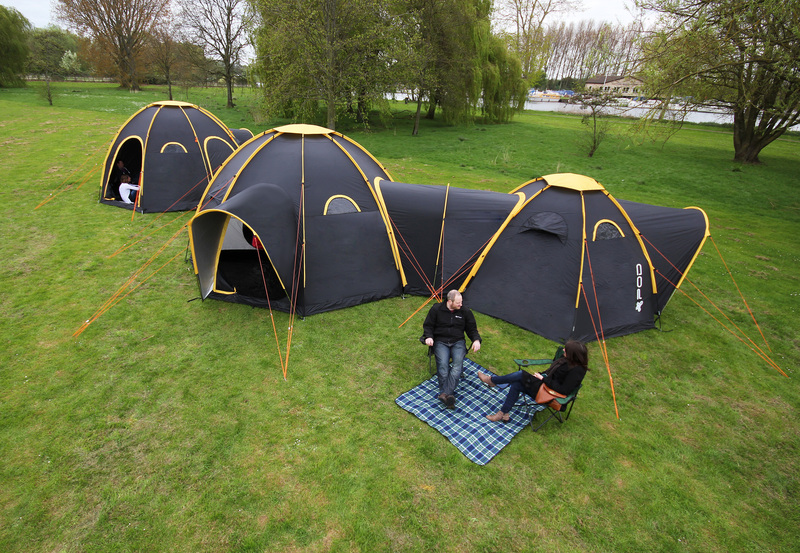 It can be adapted o house 2 people or 20, simply by adding in additional POD maxi or mini tents and interconnecting tunnels. The mini or maxi tent can be used alone, personalised with sleeping pods or adjoined to other tents via a tunnel. This design gives creative campers endless possibilities, especially for large groups of family or friends who want to camp close to one another. Even for a small group of four, it is nice to have a separate tent for group socialising and a separate area in the form of a tent or sleeping pod for resting. For groups of friends with children, this will make nights at the campsite much more interesting, allowing the adults to socialise together in the main tent while the kids sleep safely through a small tunnel. Both the Maxi and Mini also make pitching easy peasy, taking the stress and arguments out of the camping excursion. 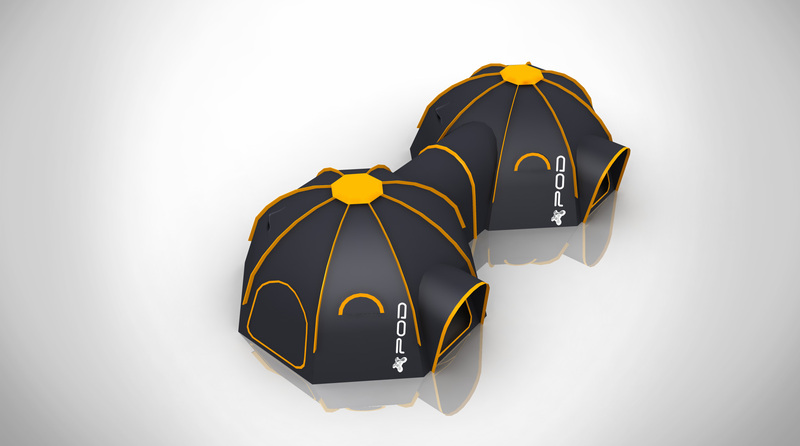 POD means you can literally build your own community so you may think that these innovative tents are a hassle to erect, but you’d be wrong. Thanks to poles that are all the same size, two people can easily erect a POD tent in 10- 15 minutes, leaving more time for the crucial element of camping – having fun with loved ones in beautiful surroundings. Wherever you are planning to go camping, and whoever with, a POD tent will improve your outdoor experiences. 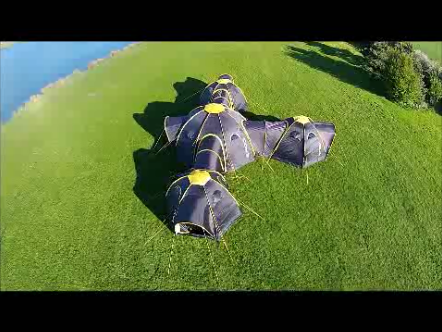 Whether you’re a camping pro or a novice, this tent system will become your new best friend as it ensures the holiday runs smoothly without any hitches and with added time for more fun. 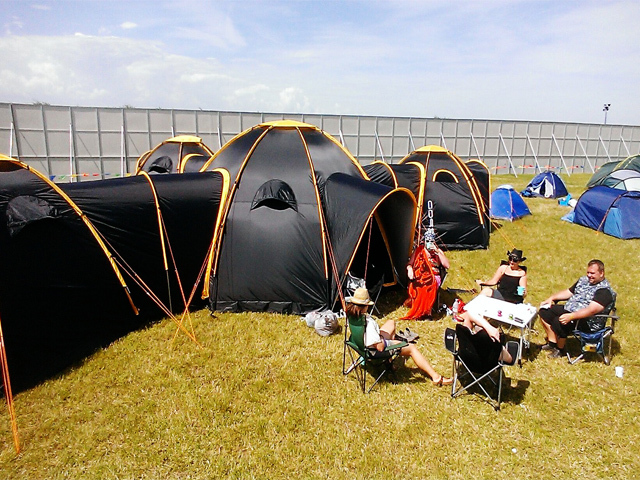 I think the pod tent is a clever idea – not just to adapt for the number of people who are camping – but also as you can adjust the size depending on whether you are going away for a weekend or a week. (Ease of pitch too, with poles being the same size).